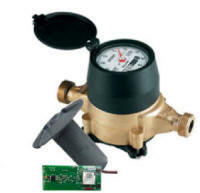 Nexgrid's H2O water meter interface provides users with a real-time, two-way, standard-based water AMI system. Nexgrid's MIU is equipped with a ZigBee compliant radio that supports MESH networking capability to communicate with Nexgrid's ecoNet™ gateways and intelligent end devices. The MIU also provides interval data along with tamper and battery health information. Nexgrid's Utility Management portal, ecoOne® provides real-time management and monitoring of the Water Network. Additionally, consumers can view their water usage at intelaHome.com, a web-based consumer portal. intelaHome® can be accessed from any computer, mobile phone, or ecoStat in-home display.